The Illinois Lottery and Special Olympics Illinois are proud to announce the first U.S. Lottery game to benefit Special Olympics. Former Gov. Pat Quinn signed Senate Bill 219 at the 2014 Special Olympics Illinois Summer Games Opening Ceremony on Friday, June 13, 2014, at Illinois State University’s Hancock Stadium in Normal. The scratch-off ticket is now available at over 8,100 retailers around the state. The tickets cost $5 and will feature four top instant prizes of $250,000, among other cash prizes. The new game will provide funds for training and competition programs that benefit nearly 22,000 Special Olympics athletes in Illinois from all 102 Illinois counties. These funds will also allow for the organization to continue transforming the lives of individuals with intellectual disabilities. The Lottery ticket will help Special Olympics Illinois offer increased participation for eligible athletes in the state as well as pursue additional national and international opportunities for their existing athletes. New money generated from the Lottery game will not be used for administrative expenses. 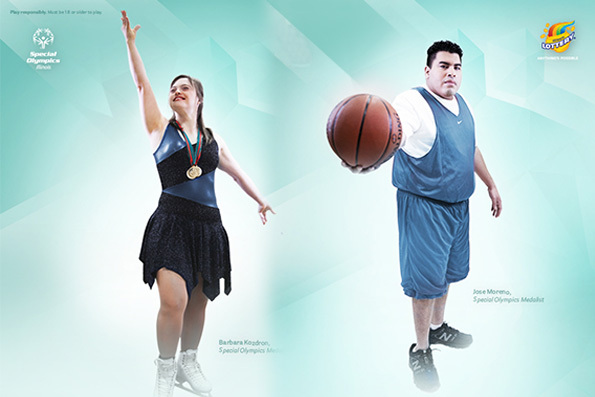 Specialty games like the Special Olympics Illinois ticket personify the heart and soul of the Lottery. The Special Olympics Illinois ticket will be offered as part of a rotating schedule of special Lottery instant games that benefit causes such as Illinois veterans, the fight against breast cancer, assistance for people living with HIV-AIDS, and research efforts into the cause and cure of multiple sclerosis. Since 2006, the Lottery has raised nearly $36 million in total for these special causes. 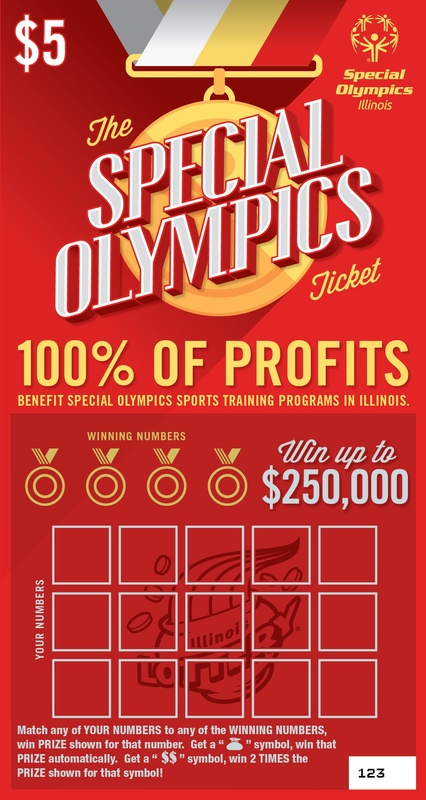 Please visit your local Lottery retailer today and purchase your ticket to help Special Olympics Illinois give the Power of Sport to one more person!